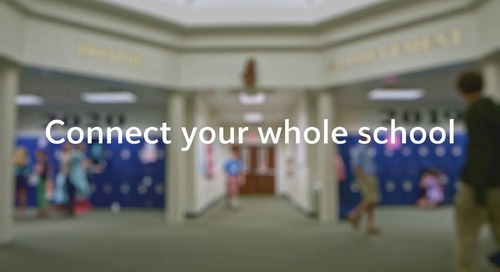 At Blackbaud K–12, our schools often tell us how The Cloud Solution for K–12 Schools creates operational efficiencies and cuts costs. While these anecdotal reports are great to hear (seriously, keep them coming! ), saying that our solutions save time and money, and having actual figures to back up the claim, are distinctly different. Wanting a better understanding for the economic effect of Blackbaud’s school management solutions, we commissioned Forrester Research to conduct a Total Economic ImpactTM study with St. Paul’s Episcopal Day School, a private primary school in Kansas City, Missouri with approximately 450 students and 55 faculty members. Forrester conducted extensive interviews with Blackbaud and the school to obtain data and create a financial model that represents the return St. Paul’s received from seven Blackbaud products. The results of The Total Economic ImpactTM of The Cloud Solution for K–12 Schools were better than even we expected. By quantifying the financial benefits received from increased staff productivity, increased collection rate, the cost avoidance of legacy technology, and reduced costs from paperless communications, Forrester concluded that the Blackbaud solutions are saving St. Paul’s $189,641 annually. When factored against the costs—Blackbaud’s software licensing and professional service fees, as well as internal labor expenses at the school—St. Paul’s received a 63% ROI, resulting in a 12-month payback period. However, what really stands out in the report is the impact of Blackbaud Tuition ManagementTM (formerly Smart TuitionTM) on the overall cost savings. St. Paul’s has realized an increased cash flow of $42,276 per year due to Blackbaud Tuition Management, and the financial office accounts for 25%, or $22,932, of the annual increase in staff productivity. The report doesn’t outline the per-product impact on the cost avoidance of legacy technology ($39,000 per year) and reduced paper costs figures ($5,798 per year), but if we play it safe and divide these figures up evenly amongst the seven products, this would mean that Blackbaud Tuition Management accounted for $71,608, or 38% of St. Paul’s total cost savings. To put this in perspective, the one-year cost savings from Blackbaud Tuition Management alone covered the implementation fees and the first-year software licensing fees for all seven products. If that sounds too good to be true, let’s dig deeper to better understand the Forrester calculations. The first thing to know is that all figures in this article represent “present value,” which Forrester defines as “The present or current value of (discounted) cost and benefit estimates given at an interest rate (the discount rate).” It’s also worth noting that Forrester’s figures are all risk-adjusted, so the actual savings may have been better than what was reported. Let’s tackle the collection rate first. 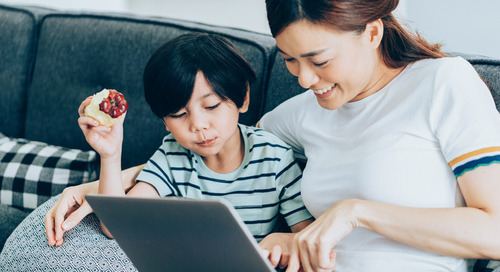 Forrester found that the ease at which families could pay online or configure automated payments with Blackbaud Tuition Management reduced the number of physical checks by 75%. This efficiency, combined with Blackbaud’s follow-up service, decreased delinquency by 50%. Forrester concluded that these factors increased St. Paul’s cash flow by $5,000 to $8,000 each month. To calculate the increased collection rate, Forrester used the low end of the cash flow range and then adjusted it down another 15% to account for external factors that may impact delinquency. When calculated over a three-year span and adjusted for present value, this yielded an increased collection rate of 26% and a total of $126,829. For this article, we divided that figure by three to get the annual cash flow benefit of 42,276. The reduction in physical checks and Blackbaud’s follow-up service also factored into the increased staff productivity calculation. St. Paul’s saved a significant amount of time and reduced the risk of human error by no longer having to deposit thousands of checks. 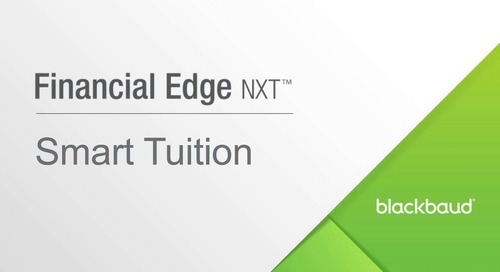 All payments made in Blackbaud Tuition Management automatically flow into Blackbaud’s Financial Edge NXTTM accounting system, so St. Paul’s finance team needn't worry about rectifying the data in two separate systems. When a payment is past-due, Blackbaud’s follow-up service saves the finance office from having to engage families in back and forth discussions. 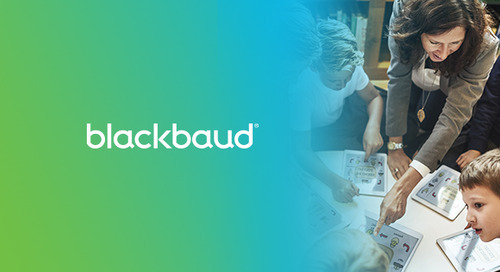 The ability for parents to log into Blackbaud Tuition Management and see a detailed billing report has further saved time by reducing the questions received. To translate the time saved into a cost-saving figure, Forrester collected hour estimates for reduced workloads from those impacted by the product. When a range was provided, Forrester used the lowest number of hours. To account for the reality that not all hours of saved time are recaptured by the school, Forrester cut the total hours in half before multiplying it by the national hourly salary for administrative staff at private schools as reported by the U.S. Bureau of Labor Statistics. Forrester also risk-adjusted the final figure down 10%. The increased staff productivity calculation could be considered “soft” money because it reduced the school’s forecast for having to hire additional employees. That said, a reasonable argument can also be made that the number doesn’t fully capture the future cost savings. The reduced time investment freed some staff members from long overtime hours and enabled others to tackle new projects. While this couldn’t get measured in a short-term examination, reduced overtime and new challenges contribute to overall job satisfaction. Overworked staff are at a greater risk to leave the school, and the cost to recruit and train new employees is significant. Of course, the report also gets into the efficiencies gained by syncing contract data between Blackbaud’s enrollment management and tuition management solutions. You can learn more about the value of Blackbaud's total enrollment solution here. The best part about all of this is that you don’t have to take my word for any of these benefits. The figures represented in this article aren’t hearsay—they’re all in the report. I encourage you to download the report to see for yourself or watch the Forrester-lead webinar.